If your budget is within 6-7 thousand, and at the same price you want to take a fine smartphone. So this device is going to be fine for you, apart from those who are purchasing a smartphone for the first time, this device is also good for them. In this, you get an average camera, fine display, although this device cannot be called good for gaming enthusiasts. The phone does not have a fingerprint sensor, but in addition, the company has included Google's Face Unlock feature in the device. If you want to take a smartphone equipped with all these features, then you will get a great smartphone from nowadays. First of all, if a smartphone should be discussed in this category, then the smartphone Xiaomi Redmi 5A will be, without a doubt, the starting price of this smartphone will be Rs. 5,999, though its price of another variant is Rs 6,999. 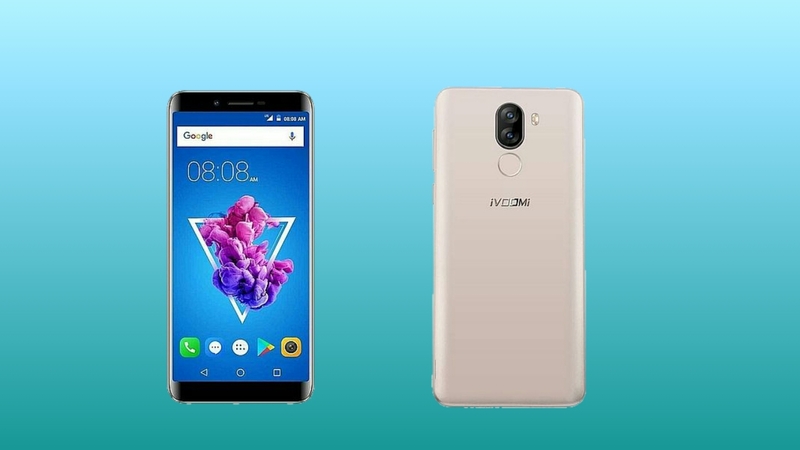 However, around the same price, you will also find Intex elyt e7, Infocus Turbo 5 smartphones that come with similar specs from the smartphone, although the smartphone we are going to discuss today is iVOOMi's own i2. EVOO i2 Lite introduced as the next smartphone of the same generation of smartphones i.e. its small variant, this smartphone costs Rs. 6,499. And it can be taken with 2GB RAM and 16GB of storage. However, in this price, you can get many devices with 3GB of RAM and 32GB of storage. If you want to take this device you know that you can buy it by going through Flipkart. It is to be sold exclusively right here. If you discuss some other smartphones, at this price you will also find cool pad note 3, cool pad note 3 lights, Zolo era 4k smartphones. All these smartphones are going to get you at a price higher than this price. 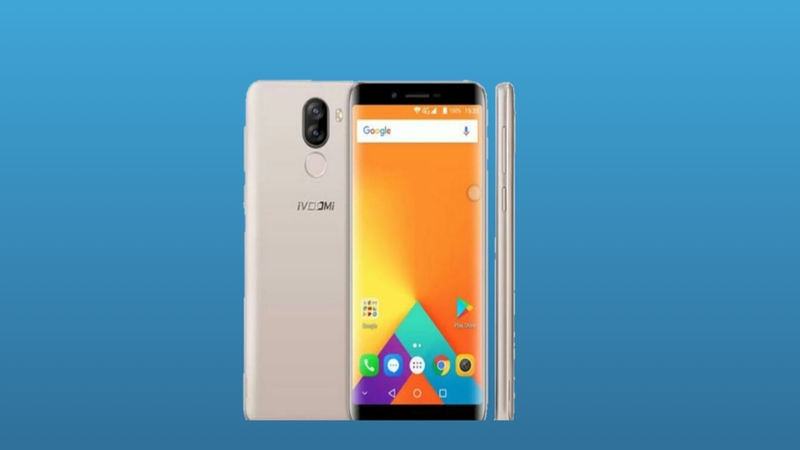 Now, talking about these smartphones here too will not be perfect because we are discussing, iVOOMi i2 Lite smartphone, and the best thing that I have seen in this smartphone is that it is a Launched with good build design. Apart from this, it has been launched with Android 8.1 Oreo, although other smartphones are also being launched with the same OS, they are not on the latest version. But gradually they are also being updated, after which they are working on the new OS, but there are still some companies that are launching their fons on Android nuggets, just recently we have Panasonic Eluga Ray 550, although some time has passed since this device has been launched but it has been launched with an old OS, and there was no update available till its review. I have been releasing this device for the past 8 days, and during this time I have used this smartphone as my personal phone. In the meantime, as I started the review of any smartphone, I started this review with gaming too. As soon as this smartphone came into my hands, I first downloaded the Asphalt 8 game from Google Play Store and started playing it at the same time. As before, in the review of many of my smartphones, I have found that after the heavy gaming of some delays, the smartphones start heating up, in this smartphone I have seen something like this, this phone starts to heat very soon. Besides, let's find out more about this smartphone which is equipped with the performance of this smartphone. On seeing the smartphone, at first sight, I remembered the last smartphone of the company's smartphone iVOOMi i2, although it is somewhat lower than its design. Looks like it is the same but its design is a bit different, seeing the difference between them, you will see the difference between them, both of them have a lot of difference apart from the price. However, if you have never seen the foot of EVOO, then this smartphone may also look like any other company as if I talk about it, it seems like it's from S42 to Intel. In it, you are getting a full view display, which means that you will get its navigation buttons within its display. However, when you take a look at its back panel, you will get some virtual vertical dual camera setup like iPhone X, although there is a difference between the price between these two smartphones and in other cases the sky is sky but this is still the same. Can be called. The dual camera has been placed at the top and bottom and between these two you are getting an LED flash. On the back panel on the phone, you will see the branding of the company in the middle. In this you are not getting fingerprints sensor, instead, the company has included Google's Face Unlock feature in it. It is a newness to be seen in the device, the company did the same with its previous device. On the phone, you are getting a full view display, which can also be included in today's trendy smartphones category. As you can see from every smartphone nowadays, similarly some speakers Grylls are going to see you on this device too. Its Micro USB port and 3.5mm headphone jack have been placed in the top of the phone. Also, speaker Grylls about whom we had just talked about is at the bottom. The back can be removed due to the plastic in the phone, although it does not happen in some smartphones in this you are getting this, you can separate it from its back. However, you can not separate its battery from it. If you remove this cover in the phone, then the Dual 4G VoLTE support SIM ports will be available, in which you can use two 4G SIM at the same time, apart from this, you can also use MicroSD card in one. This means that you can use two SIMs at the same time or a SIM and a MicroSD card at the same time. On the front, you get a LED flash with the camera in the phone. At this price I am looking for the average of this design, you can also like it, but if you have seen the iVOOMi i2 device you are hardly interested in it because you can only add more than 1,000 specs There are more features available, besides a sturdy design. Now when the matter is only one thousand, then you can choose any device using your discretion in this matter. Apart from EVOO, however, there are many other devices on the market. As I told you that the design seems to be the design of traditional iVOOMi, much work has not been done on design and design, the first launching device was launched with a better design, and with this in this device It is compromised but if you want to have a great design and similar specs and other smartphones in the price, then you can download it S42 smartphone in addition to Intex elyt e7 and InFocus Turbo 5 I can think about it, in the end, in the end, its design is average at this price, its design could have been better. There is a 5.45-inch display on the phone. It's getting an HD + full view in-cell display, which is present with 1440x720 pixels, though it's a panel with an 18: 9 aspect ratio. If its pixel density is discussed then it is almost like those smartphones that come with similar specs at this price. Even if we discuss this screen to body ratio, it's like other smartphones. I liked the display of it, it is quite bright. Please also tell you here that the display has not given a 2.5D curve. The phone is equipped with Android 8.1 Oreo (close enough to Stock Android), and it is also equipped with 2G / 3G and 4G support. The smartphone is equipped with 4G VoLTE support, and it is for both SIMs. Apart from this, the phone has 2GB of RAM and 16GB storage. If you want to increase it, it can be increased to 128GB with the help of MicroSD card. However, at the same price, you get 3GB of RAM together with 32GB of storage at least nowadays. But the 16GB internal storage has emerged as a major drawback. That sounds like a minus point to me. 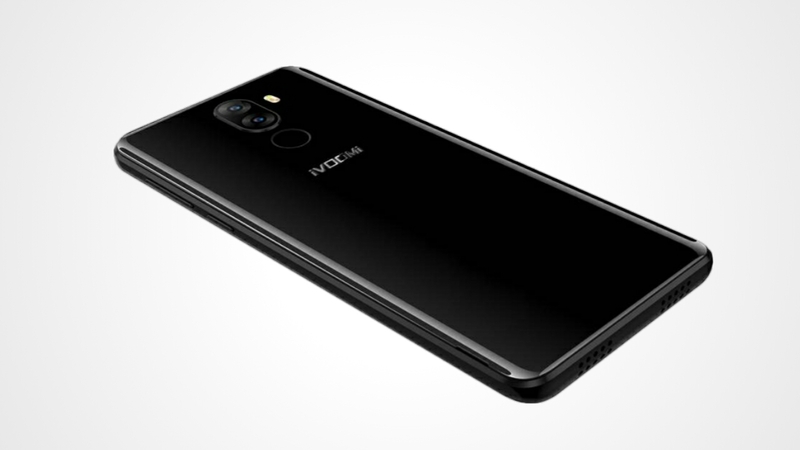 If I discuss the camera given in the phone for the photograph, then a dual 13-megapixel + 2-megapixel rear camera module with LED flash is available, in addition, it also offers an 8-megapixel front camera. If I discuss the rear camera, then this is a Sony sensor, which is the 5P Largan lens. And if you discuss the front camera, then you get it as a 4P Slim Lens. You also get a selfie with the front camera. Which helps you to click the photo in low light. You can take great pictures in the night, in the darkness, because this selfie has come with flash, but I have not felt in any way that it can take good pictures in the dark. I have a problem with getting this beautiful picture from the camera with great pictures. Apart from this, let us know that there is a 4,000mAh capacity battery. That has impressed me a lot. Once the battery is discussed, it takes out two days of comfort, however, if you use the phone's heavy, then you get out of the comfort of one day. From its standby time, I have become very special, because it can be very comfortable for about 4 days. Also, in the end, let me tell you that this has given you 1.2Ghz quad-core mediaTech MT6739 processor, which is fine for a budget smartphone. The display of this smartphone can be good, its colors are quite brighter, and the reproduction of colors is also good, you are going to enjoy its viewing angle too. If you see its video from any angle, you will not see any loss anywhere in it. Its display is very good in this budget. Although the display of Xiaomi Redmi 5A is also quite good, considering the display of this smartphone, so much about the display in this smartphone can be said that it can take a tough fight against it. If you use this smartphone anywhere in the sun during the direct light, you still do not have any problems. In this light, the apps and everything you work with is easily visible to you. If you discuss the performance of the smartphone, then let me know that in the matter of performance this smartphone I looked average, even heavy gaming, as I told you at the beginning of this review that I am gaming it before the review of any smartphone I start playing only, even after heavy gaming, I have not seen any kind of lag for some time, but after some time I am going to get this d Vice has more complaints to be hot. I have done this for a few days continuously gaming for about 10-15 minutes, and during this time I have found that the phone gets quite hot, although discussing the smartphones coming out of this price, it can also be hot in no time Let's start. Along with heavy gaming, I have also done browsing from a smartphone to messaging, chatting, emailing, social media, and multi-tasking, but due to the 2GB RAM in it, I have had some problems somewhere. I will call this smartphone an average performer coming into your budget, because of its cost, its performance is good. Yes it is so important that it gets hot soon and its storage is very low, it has been offered with just 16GB of internal storage. Apart from this, Android's Oreo's smartphone has a similarity with Gold Pea Suhaga. If you discuss the camera of this smartphone, then it is equipped with a dual camera, but after this, it can be called average only. However, its front camera disappointed me. This has also happened because of the selfie flash, the device does not take a good selfie at night. My Experience is not so special with this smartphone, I am currently discussing its camera, I am quite disappointed with its camera. Because nowadays the camera is putting more meaning in any device, but if it does not look good on any device then you are very disappointed. On the phone it has a dual 13-megapixel + 2-megapixel rear camera module with LED flash, besides an 8-megapixel front camera is also available. If I discuss the rear camera, then this is a Sony sensor, which is the 5P Largan lens. And if you discuss the front camera, then you get it as a 4P Slim Lens. You also get a selfie with the front camera. From the phone's camera, I took photos in the dark and in the light of my house and the pictures taken from it are not very special. In terms of quality, these photographs are not going to be used in any professional work more than just posting on social media. I have taken pictures with smartphones even in the dark and due to the flashlight, the pictures taken by this are not as bad as I was thinking that due to a budget phone it would have a simple camera. But looking at the pictures has diminished my disappointment. In addition, photos taken from this sunlight are quite great. Apart from this, if I discuss the Xiaomi Redmi Note 4 and Xiaomi Redmi Note 5 and Redmi 5 Pro cameras, then it is auspicious in itself. By looking at the phone's app, it seems that it is quite easy to understand it. You can also use all its modes easily.